3rd Saturday of every month. Next session: 18th May 2019. Traditional unaccompanied singing, in English and Irish. Dodd’s Crescent Bar (back room), The Crescent, Boyle, Co. Roscommon, Ireland. The third Saturday of every month, all year around, 9.30pm onwards. All singers and listeners welcome. 39 songs by my reckoning. Back later with a little more info. Back again - but isn't the summer flying in! 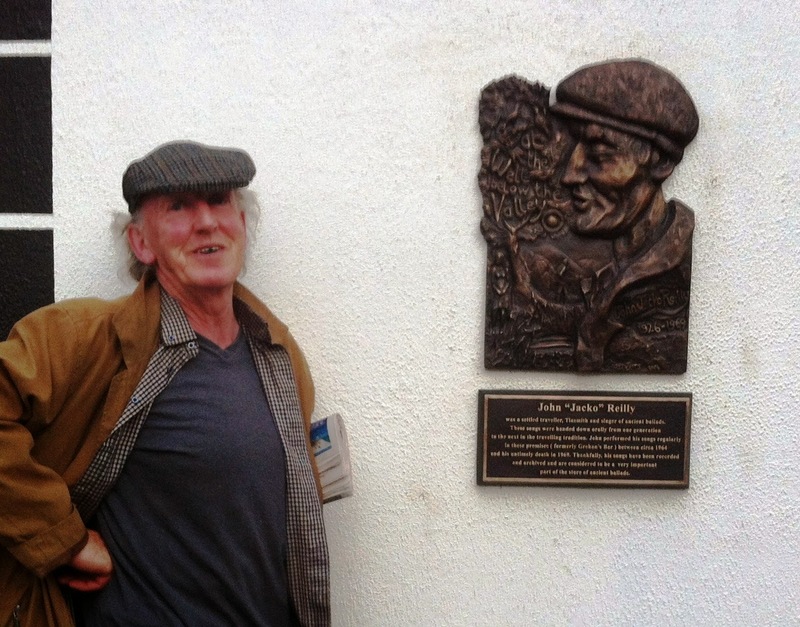 Well, Cyril McDermott from Ballyroddy, Elphin was back for a visit, and sang the Bantry Girl's Lament and Frankie Simon's song about the Windmill in Elphin. Cyril was one of those who worked towards restoring the windmill there. A regular visitor from Elphin, Paddy gave us Red-Haired Mary and the Rose of Allendale. George was accused of being a crazy-mixed up kid when he sang "I am my own Grand Pa". We welcomed Jim Bainbridge and his wife, Francie, to the club. He kicked off with a 1920s song which goes: "It’s really high time that something was done to alter the way that the country is run...". (Well, we all second that.) Actually, it's a song about the duty on whisky, which was increased in England, on 19 April, 1920, so the price went up from ten and a tanner to 12 and a tanner a bottle. Breege's song about the drowning on Lough Arrow in 1874 held our attention and Helen's own love song, beside Lough Key (scraps of the verse: "we loved the first with such a thirst" ..."beside Lough Cé" ... "on Easter Day she passed my way". They kissed so sweet and comforting – last line... and she pushed him in. Ahah! - never heard that bit before. More maidens' revenge followed with Martinmas Time. Moving along: My love came to Dublin; To plough and sow, reap and mow; Johnny Morissey and the Russian Sailor; Ceaití and the Sean duine dóite (not in the same song); 'Twas duly that it came to pass, I met ma bonnie fisher lass; Green grow the rushes, Oh; Annie; The Summer time is blooming; Who are you my pretty fair maid? If you think you have a song or recitation to contribute to our store, or you'd just like to come and listen - see you next session - August (canyoubelieveit) 21, 2010 in Dodd's. Who: All singers, story tellers and listeners welcome. No standards set. Tá fáilte roimh teagmháil tré Ghaeilge. 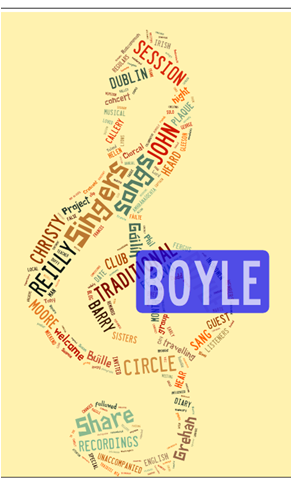 Boyle Singers' Circle was set up in September 2006 by Breege Duffy and Helen Grehan, with the support of Clare McGuirk, Clíona Ní Shúilleabháin, Eugene Handley and Tony Moore. It has been meeting on the 3rd Saturday of every month (including the Summer months) since it started. It's an informal group, there's no membership and no cover charge. The core group has expanded and changed over the years since the Circle began and along with local performers, it regularly includes singers and other singers from Strokestown, Elphin, Sligo, Knockcroghery, Leitrim and further afield. 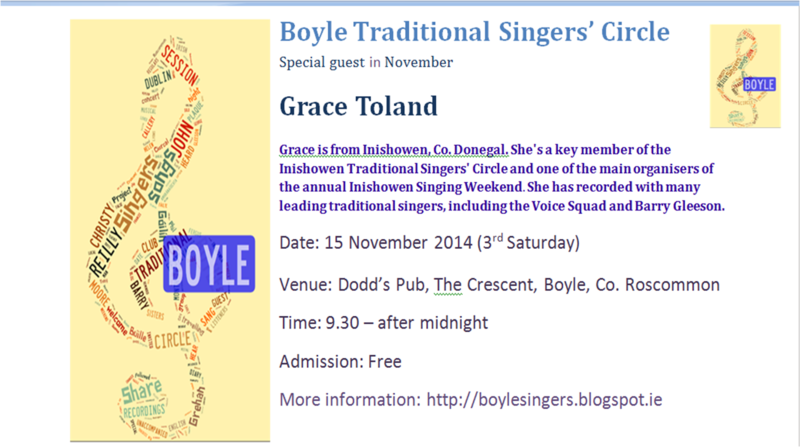 The singing is solo, mainly traditional English and Irish songs and mainly unaccompanied. 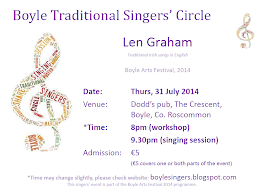 The Dublin singer, Barry Gleeson, will be the guest at the July Boyle Singers Session, on Saturday July 19th, 2014. Barry, a former teacher, is a songwriter and singer. He's an active member of the Góilín Singers' Club in Dublin and travels widely to singing sessions and festivals. He has released several solo CDs over the years. His musical companions on his CDs are always of the finest. Barry invited The Voice Squad, who had sung on earlier recordings with him, to do a spot on his most recent CD and they credit their subsequent re-formation to this invitation. Barry has also influenced other musicians and the group Lynched have some of Barry's songs in their repertoire. Come along and hear Barry at Dodd's on Saturday July 19th. A taster of Barry Gleeson's singing. 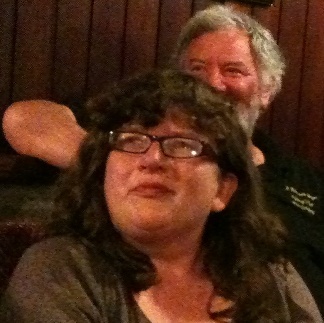 Breege Duffy and Phil Callery. 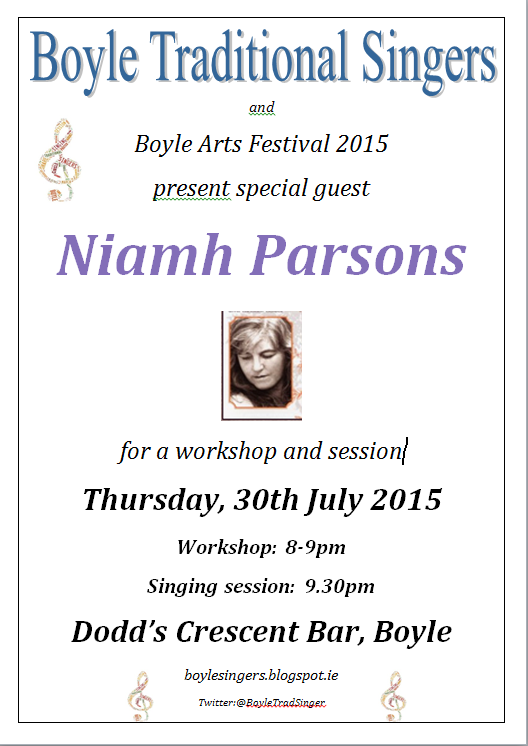 Boyle Arts Festival session, August 2012. Susan Boyle will not be singing at the Boyle Singers next Session, (although she'd be very welcome if she wanted to turn up!) 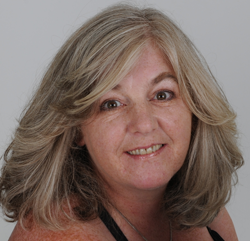 The Boyle in this blog is not the Susan one. The singers' circle was invited to record a few songs for The Arts Hour, presented by Roisin Cooper, on Shannonside. The songs pop up every so often, so listen out! cnísh. Simple theme. Theme images by gaffera. Powered by Blogger.